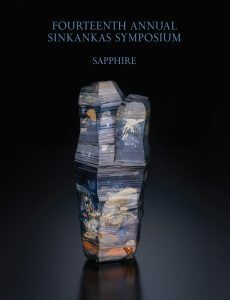 We are pleased to announce that Edward has been asked to speak at this years Sinkankas Symposium. The symposium is an event where noted experts within the gem community are each asked to give a presentation on an aspect of the current years topic. Edward will be presenting on the relevant topic of Sapphire Origin Determination: Past and Present. The event will be hosted at the Gemological Institute of America’s Robert Mouawad Campus in Carlsbad, California.